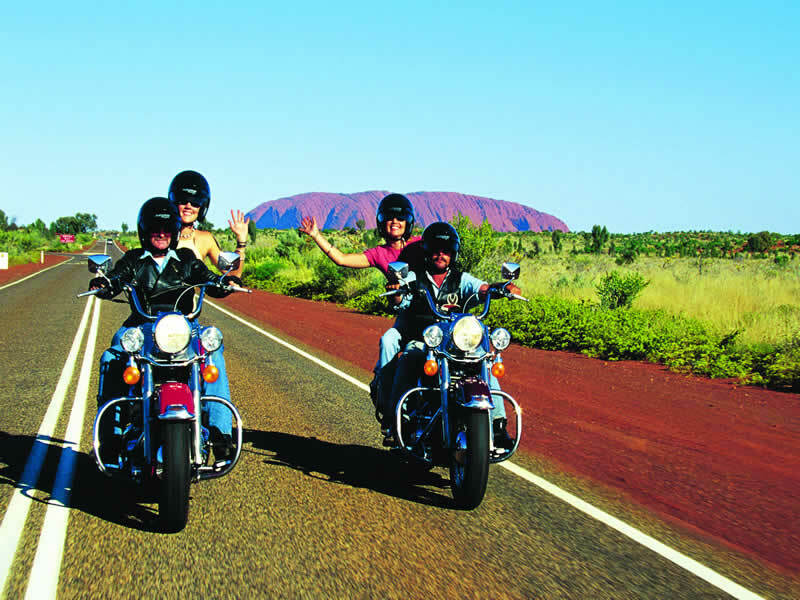 Independent & Group Uluru (Ayers Rock) & The Northern Territory Tours Packages in 2019/2020 from Travelbag. 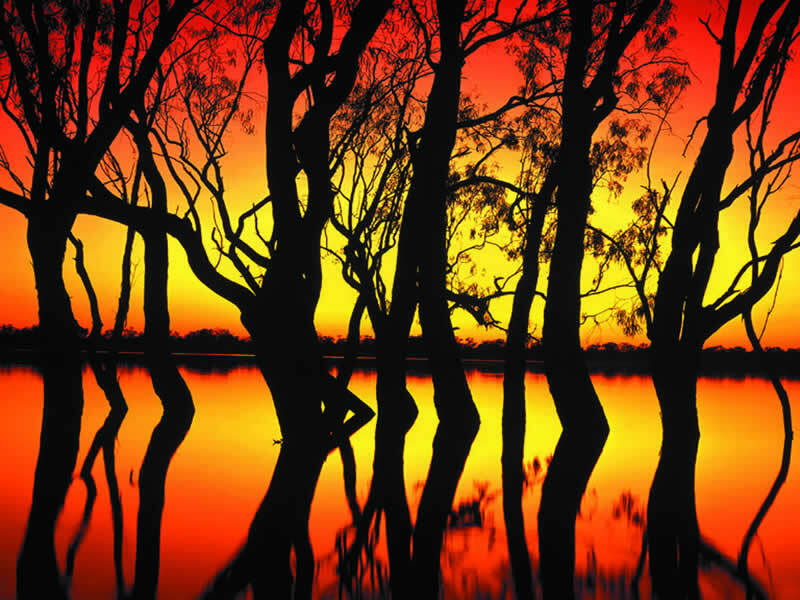 Regarded as Australia's 'real Outback’, the Northern Territory takes you off the beaten track into a stark, yet fascinating wilderness unlike anywhere else in the world. 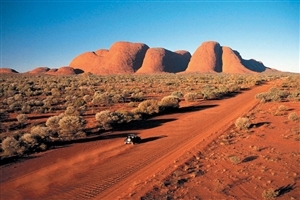 Rich in Aboriginal heritage, the stunning Northern Territory is a vast land encompassing hundreds of miles of arid desert known as the ‘Red Centre’, dozens of national parks resplendent in unique flora and fauna and many of Australia’s most iconic landmarks, including Uluru (Ayers Rock). As such, a Northern Territory and Red Centre tour with Travelbag is an excellent way to explore Australia’s heart, where you’ll discover the intriguing rural Outback ways, witness extraordinary natural marvels and be regaled by an enthralling heritage. Travelbag promises to remove the hassle of devising an itinerary across this vast land, arranging your accommodation and your transport to ensure you get the most from the Northern Territory’s many, but spread out attractions. No tour of the Northern Territory would be complete without a visit to Australia’s enduring natural icon, Uluru (Ayers Rock). 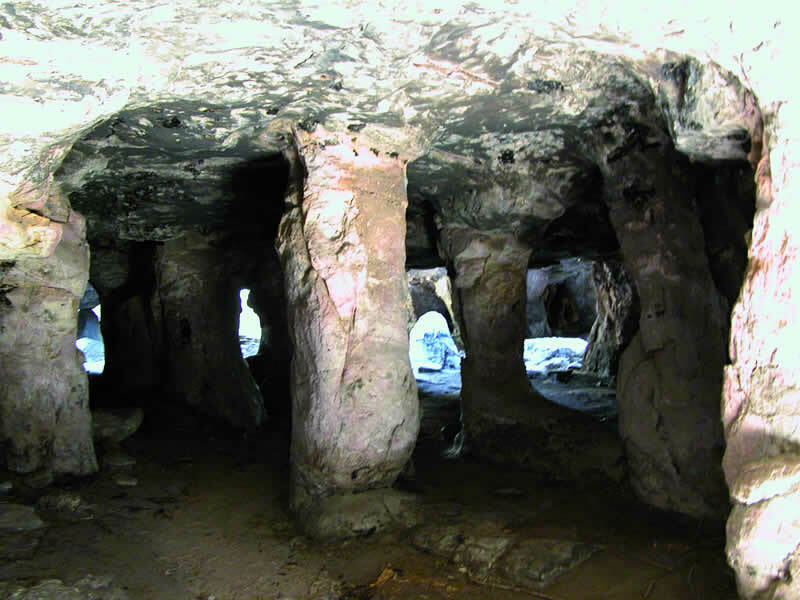 Famous for its red hues, the large sandstone rock formation is sacred to Aboriginal people and is home to many springs, water holes, caves and ancient artwork. A remarkable sight against the backdrop of the flat, arid land of Australia’s Red Centre, Uluru is best experienced during an unforgettable sunrise or sunset as it changes colour in the impending dawn or dusk. The surrounding areas also hold much appeal, including Kata Tjuta, better known as ‘The Olgas’, a series of unusual domed rock formations, and Kings Canyon with its strikingly dramatic vistas. Territory represents a vast array of unique flora and fauna, thriving in an unusual eco-system. 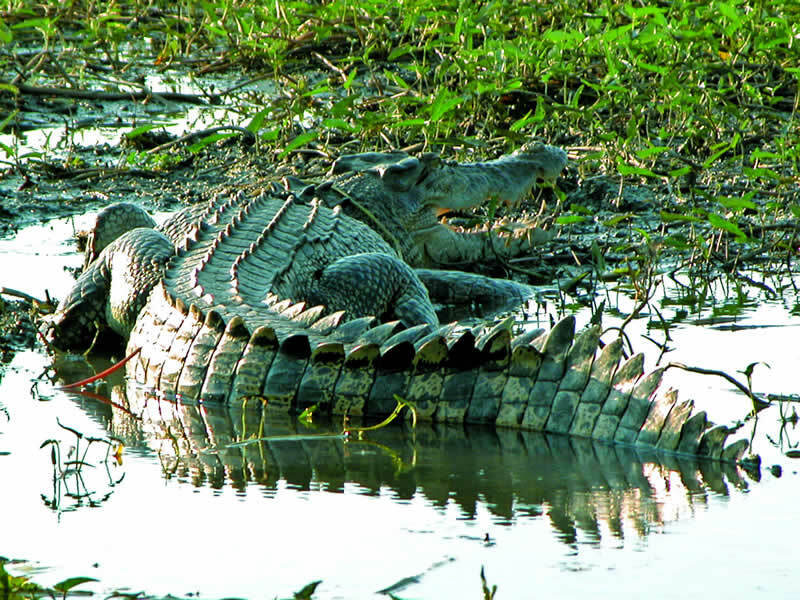 For a glimpse at these rare species and some beautiful natural formations, head over to the magnificent Kakadu National Park or Litchfield National Park. 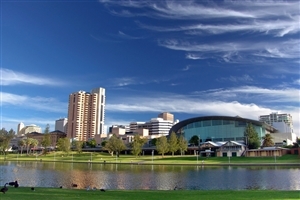 Nearby, the cosmopolitan city of Darwin in the very north is making vast gains with its burgeoning culture and tempting beaches, while the centrally located Alice Springs – best accessed on a picturesque trip on ‘The Ghan’ train - is considered a veritable oasis. 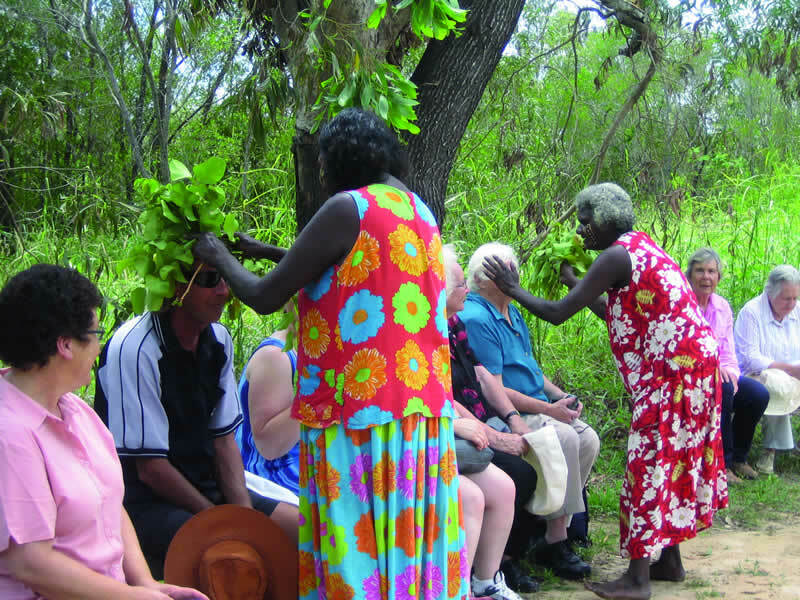 Furthermore, as the heartland of the Aboriginal culture, the Northern Territory offers a captivating insight into this civilization and a Northern Territory tour will allow you to better understand the history and customs of the fascinating Aboriginal people. With dramatic, unbroken landscapes stretching as far as the eye can see, simply venturing into Australia’s sun-kissed Northern Territory will be the holiday experience of a lifetime. Sample some of the must-see highlights of Central Australia alongside a trip on the Ghan, one of the country’s great train journeys. 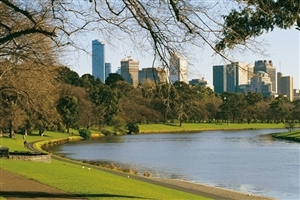 It’s the perfect tour for those keen to see as much as they can in a limited amount of time. 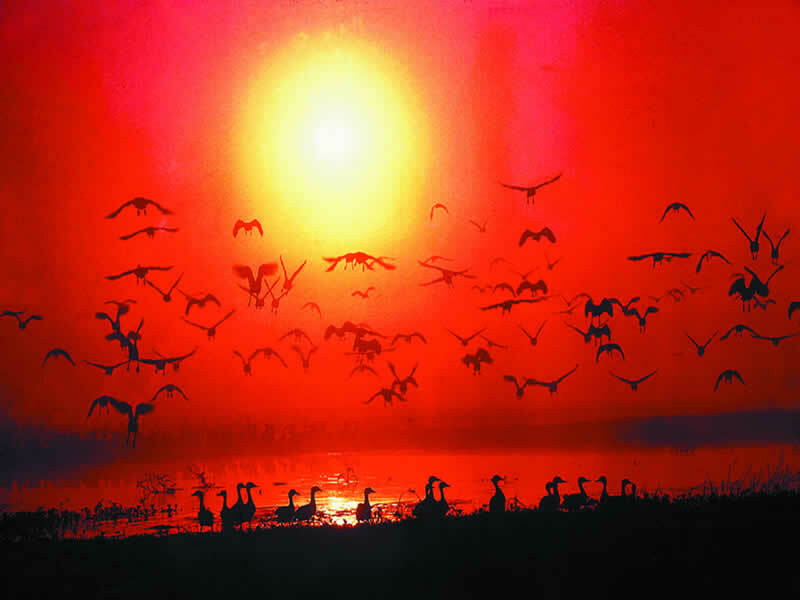 A vast and untamed land, a Travelbag Northern Territory tour is perfect for exploring Australia’s ‘Red’ heart, from the sacred Uluru (Ayers Rock), to the expansive Kings Canyon, to the spectacular Kakadu National Park. 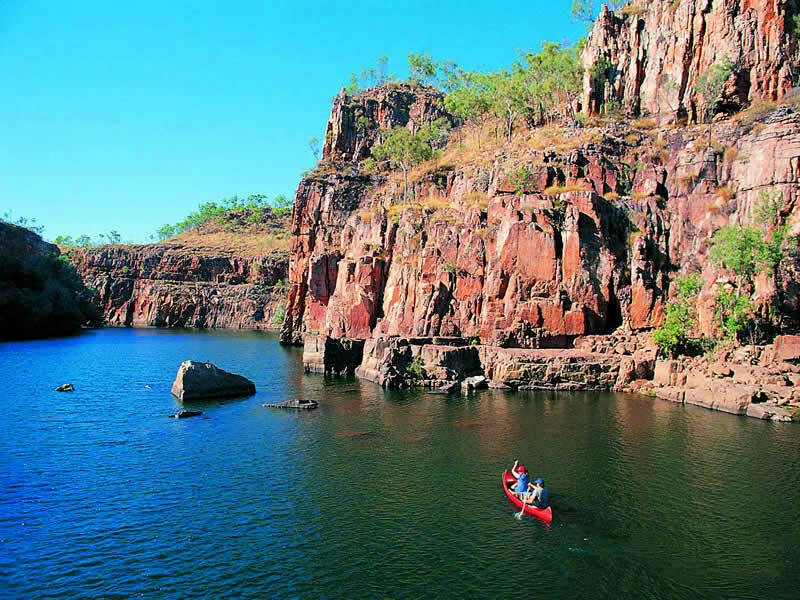 A region of varied and unique flora and fauna in a stark and remote environment, a Travelbag tour travels the length of the state, taking in national parks, rural townships and magnificent landscapes to give you a full Northern Territory experience. With our comprehensive itineraries, knowledgeable guides and the convenience of arranged accommodation and transport, a Travelbag Northern Territory tour means you can simply focus on enjoying yourself. 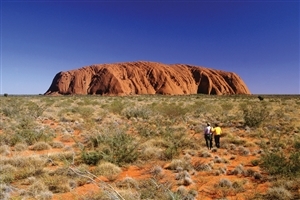 For more information about Travelbag’s excellent range of Uluru & Northern Territory tours, call 0203 944 2201 to chat with one of our knowledgeable travel experts about creating the perfect Uluru & Northern Territory holiday for you. Sunset at Ayers Rock - Watch the famous red rock of Uluru (Ayers Rock) disappear in a blaze of glory during an unforgettable sunset experience. Enjoy the Sound of Silence - Dine under the canopy of the silent desert and be regaled by tales as told in the stars during this exclusive Travelbag tour experience. 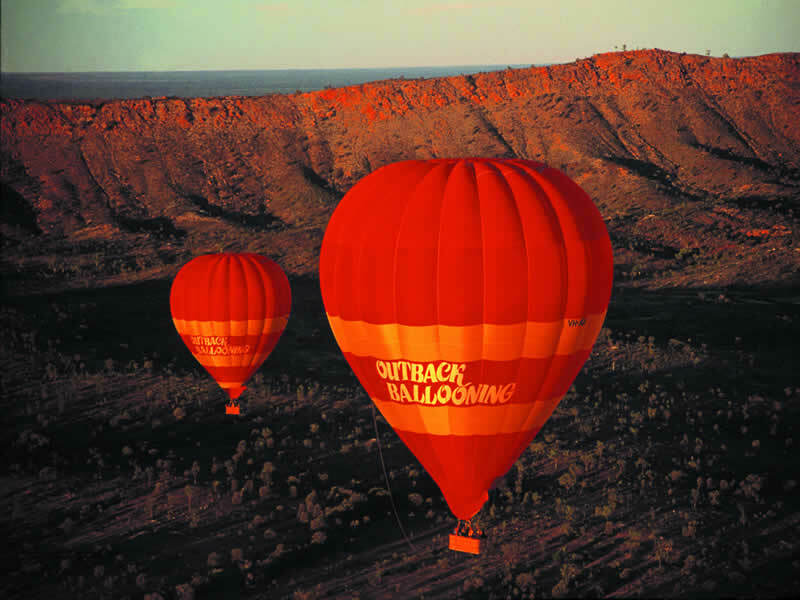 View the mysterious ‘Olgas’ - Also known as ‘The Olgas’, witness these unusual domes as they preside over the Northern Territory’s iconic barren landscape. 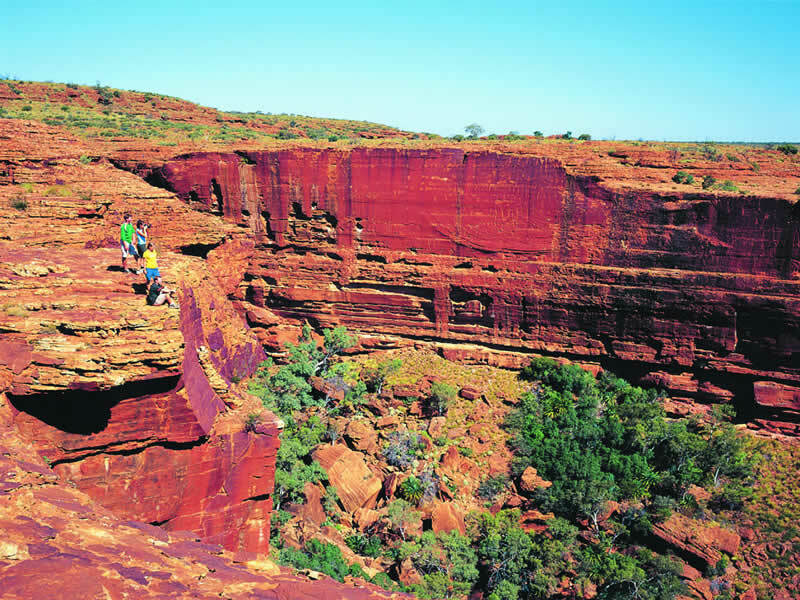 Gaze for miles - Look far across Australia’s ‘Red Centre’ desert from the spectacular cliffs of Kings Canyon. 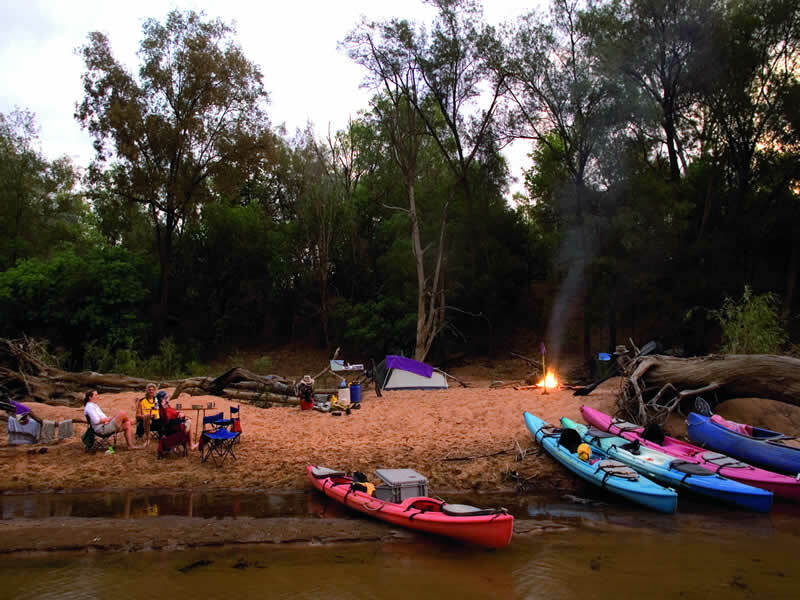 Explore Kakadu National Park - Hike into some of the world’s most dramatic scenery with a trip into the famous Kakadu National Park in Australia’s northern reaches. 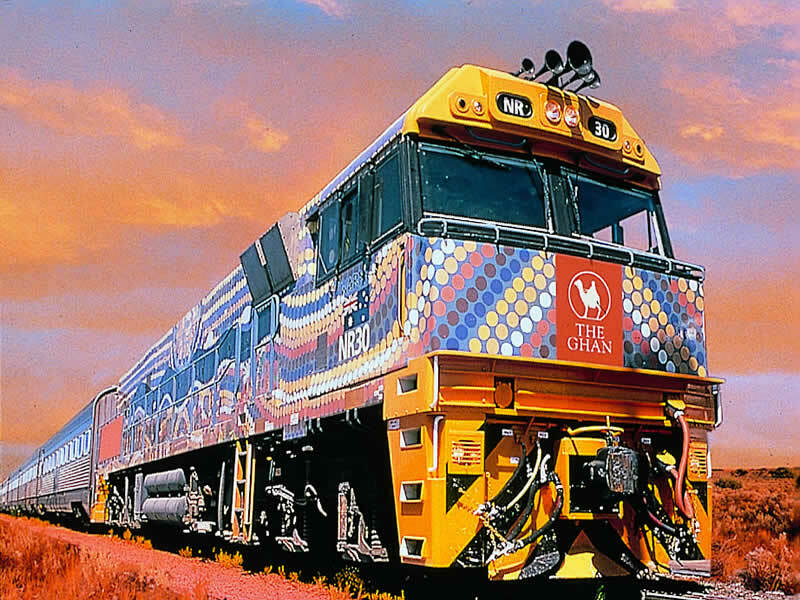 Ride ‘The Ghan’ -Admire the dramatic scenery along Australia’s iconic railway line, which stretches from Adelaide in the south, through Alice Springs in the Red Centre and all the way to Darwin in the Northern Territory. Dive into Glen Helen swimming hole - Take a refreshing dip in Alice Spring’s Glen Helen swimming hole as you explore the dramatic gorge that surrounds it. Discover Darwin - Shop, dine and discover more about Darwin, the largest city in the Northern Territory and an increasingly popular stop on any Australia tour. Explore nature in Litchfield - Venture into the intriguing Litchfield National Park, resplendent with various waterfalls, rock formations and pretty springs. Star gaze in Alice Springs - Located in the middle of the largest land area without lights, watching the stars in Alice Springs is an unmatched experience anywhere else in the world. One of the world’s most iconic natural marvels, Uluru (Ayers Rock) is a sacred and distinctive rock formation that offers clues to Australia’s absorbing heritage. 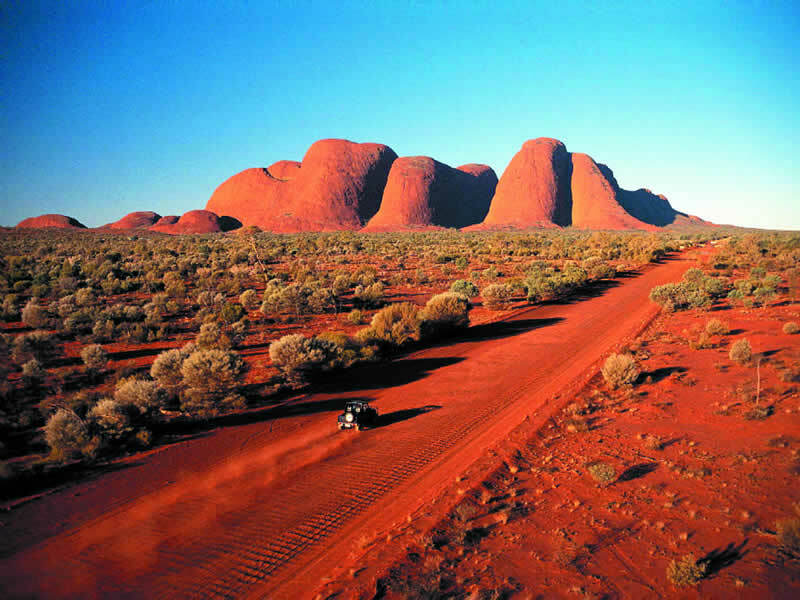 Few visits to Australia are complete without viewing the magnificent Uluru or Kata Tjuta and Kings Canyon nearby. The largest city in the Northern Territory, the cosmopolitan Darwin is endowed with endearing charm that singles it out amongst Australia’s other cities located thousands of miles away. With an aborigine-shaped past and a burgeoning future, Darwin is becoming one of Australia’s must-visit destinations. Located in Australia’s stark ‘Red Centre’, Alice Springs is a charming stopping point on any Travelbag tour and is a perfect base from which to explore the greater Outback regions of the spectacular Northern Territory.